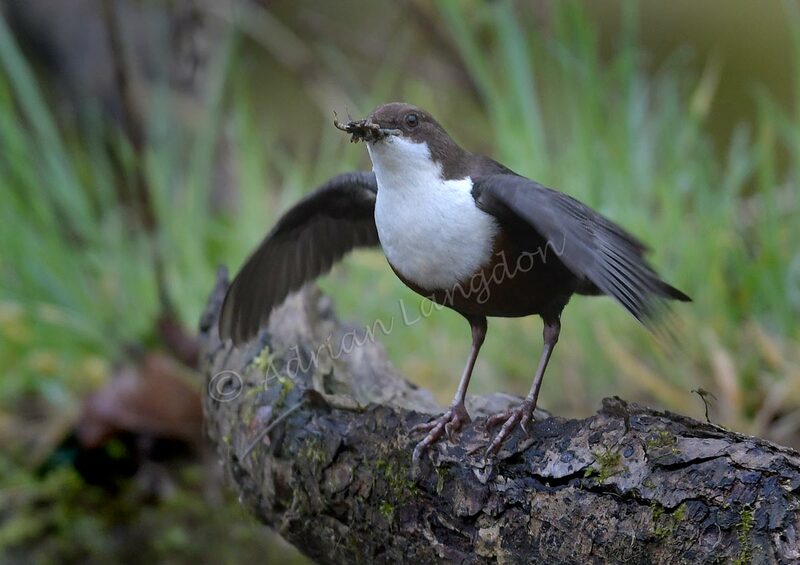 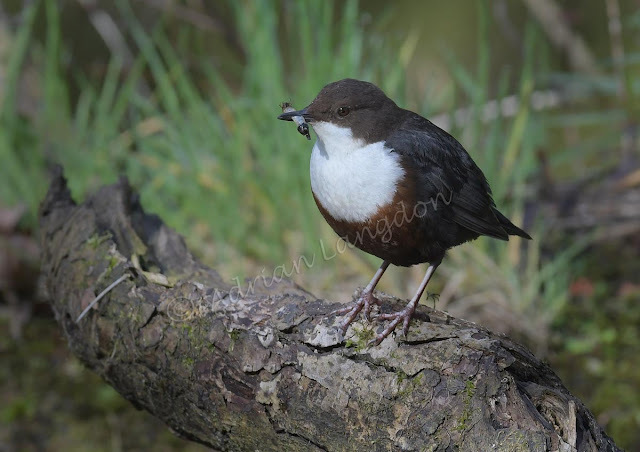 A few shots of dippers from this morning's shoot at a fast flowing stream through the Cornish countryside. Not too sure what was going on as we thought they were feeding mobile fledged youngsters but were also feeding each other and mating! 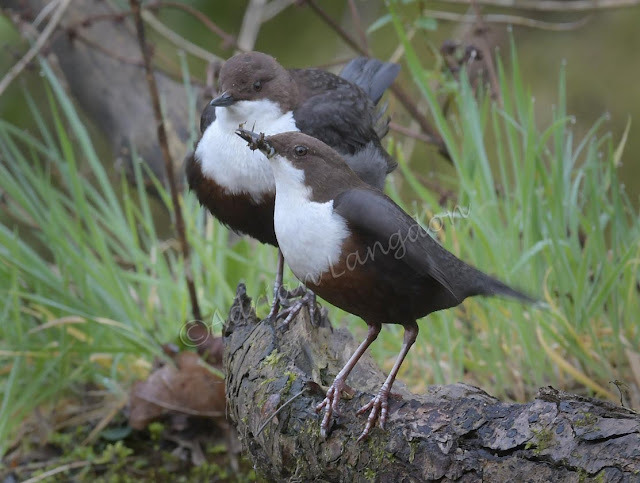 Female Dipper with male Dipper behind.